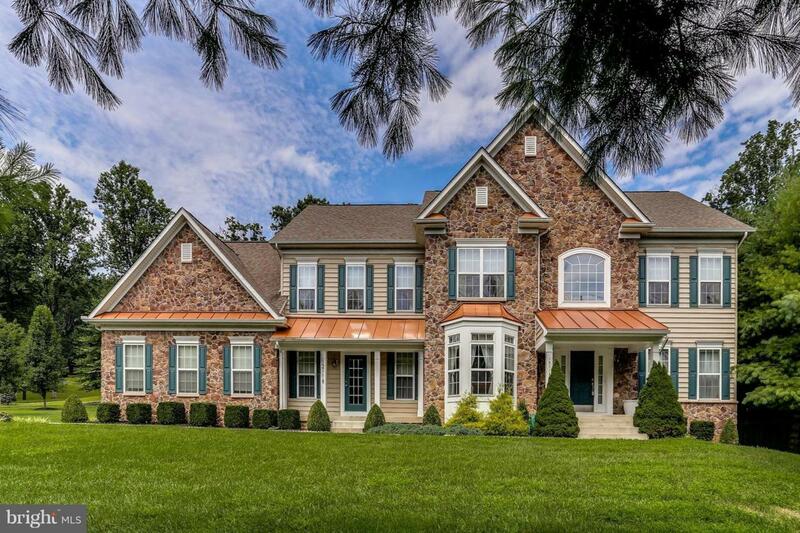 STUNNING 3 CAR GARAGE COLONIAL WITH A KITCHEN TO IMPRESS WITH BRAND NEW GRANITE COUNTER TOPS. OVER $50,000+ IN UPGRADES WHICH INCLUDE THE GOURMET CAFE SERIES DOUBLE OVEN BOTH WITH ELECTRONIC CONVECTION & PROBE WILL TURN ANY COOK INTO A CHEF!. GE PROFILE GAS COOKTOP IS 36' WIDE WITH STAINLESS STEEL EXHAUST FAN. THE KITCHEN ALSO HAS MATCHING STAINLESS STEEL APPLIANCES, A LARGE ISLAND COVERED WITH LIGHT GRANITE THAT SPILLS INTO A MASSIVE GREAT ROOM WHICH HAS SPACE TO ENTERTAIN! ENTERTAIN IN YOUR FORMAL DINNING ROOM WITH AMAZING CRYSTAL CHANDELIER. ENJOY COZY WINTER NIGHTS WITH THE GAS FIREPLACE. NOTICE THE FABULOUS UPGRADES THROUGHOUT, INCLUDING, CRYSTAL CHANDELIER, LAUNDRY SHOOT, TOWEL WARMERS, MASSIVE HARDSCAPE PATIO & EXTERIOR GAS OUTLET FOR WHEN THE COOKING NEEDS TO HAPPEN OUTSIDE! TAKE ADVANTAGE OF THE GRAND ENTRY FOYER WITH DUAL STAIR CASES! RELAX IN A MASSIVE MASTER BEDROOM WITH BONUS SITTING ROOM. PLENTY OF GUEST PARKING IN EXTENDED DRIVEWAY. CHECK OUT THE 3-D TOUR AND THEN GO SEE THIS ONE IN PERSON!